driving instructors website design package. Building your driving school an eye catching website which will convert users and stand head and shoulders above your competition! Have the option to accept credit/debit cards through booking available time slot online. Special offers and coupon codes can be setup within a minute! Not only will your new driving instructor website design look outstanding, it will look great on mobile and tablets but it will perform well on Google gaining higher search engine traffic for potential customers. Take bookings & payments for your driving lessons through your website by credit/debit card (optional). Setup as a one off payment or weekly/monthly subscriptions. While researching the driving school industry for a client of ours, we noticed a trend. 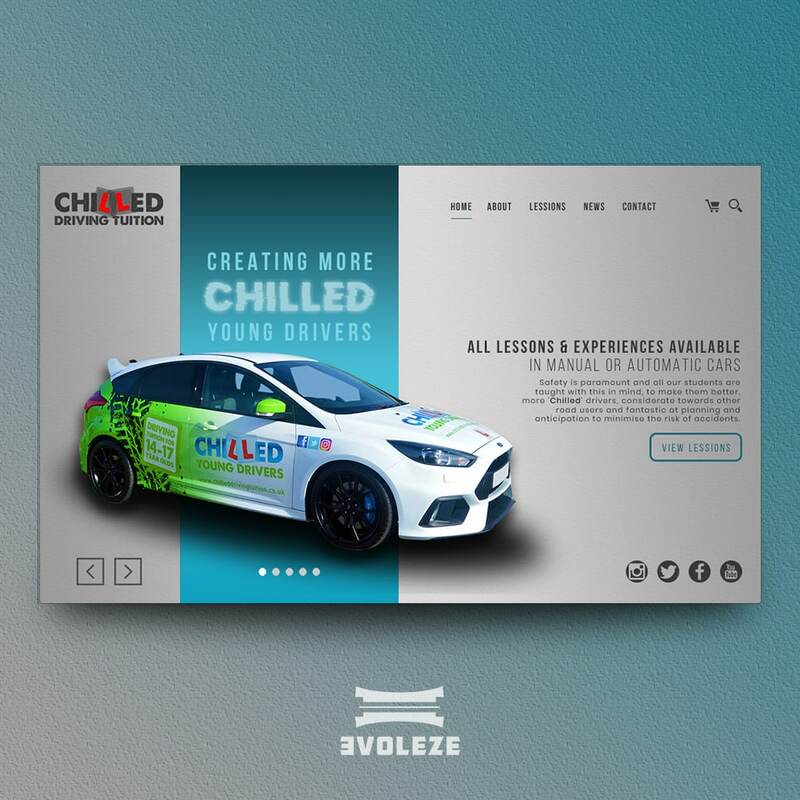 Up and down the country driving instructors websites are extremely outdated or self built, which got us asking the question, why are so many driving schools not focusing more on digital marketing and their website design? Let me throw some stats at you. For an average size city in the UK (lets take Derby as an example) there are 2395 monthly searches performed on Google alone for various keywords and key phrases from users looking for driving instructors. This is a huge amount of potential customers a driving school could pick up from Google alone, let alone social media! This is where we step in with our driving instructor website design package to get these visitors to your site and then convert them to paying customers. First off we noticed that 76% of users looking for driving schools are on a mobile or tablet device. This is why we make sure that each website we build looks stunning across all devices and loads quickly, no matter how weak the users internet signal is. Converting visitors into customers is a massive challenge for any business. We have found that 38% of visitors looking for driving lessons tend to convert in to customers if there is an online booking systems. Your customers have asked for it, so we delivered it! For each of your driving courses you offer, customers can select an available date and time to book and pay for that block of lessons. If someone has already booked a lesson at a certain time then this time is automatically blocked out from anyone else booking! You can easily view your calendar to see where your next appointment is. This service is completely optional and an enquiry form can be used as an alternative if required. There is no limit to the number of driving courses you want to provide on your website. If you offer it, we will add it to the site! Everyone loves a good success story so share it with potential customers! Every time someone passes their test, take a photo, ask for a testimonial then put it on your website. Your site will come with a unique success story section where you can easily add new stories within minutes. Full training is given if required. Every now and again you may want to run a special offer of competition. You can create as many coupon codes as you like! You can select the discount you require to knockoff to a specific driving course then share the code with however you like! On social media you goal is to get people to your website to get them to book. We advise our clients that when you’re posting on Twitter, Instagram or Facebook that you should include a relevant link to your website as often as possible. Every time you post a link on social media, we have already setup a bespoke graphic to display as your website loads (if you haven’t got an image to use). This will encourage users more to click on the link.